The Christmas countdown is now officially underway with the launch of Cash for Kids seasonal charity drive, Mission Christmas. 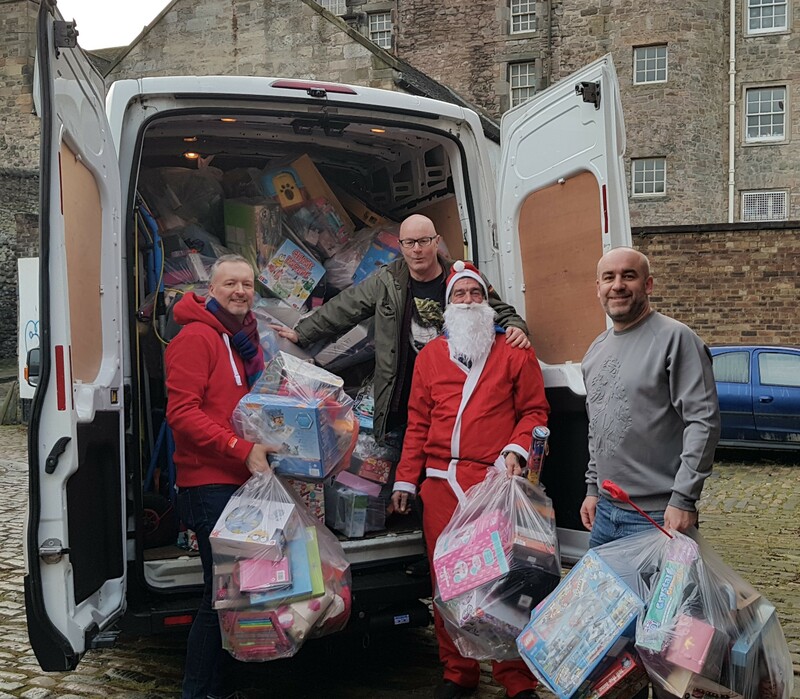 Last year nearly 21,000 underprivileged children from across Edinburgh, the Lothians Fife and Falkirk enjoyed a special Christmas thanks to the charity initiative from Forth 1 and Forth 2’s Cash for Kids. The big-hearted charity raised the impressive sum of £1.1 million in 2017 to ensure that as many children as possible could share in the magic of Christmas and distributed brand new gifts to those who need it most. Mission Christmas also accepts monetary donations which can be made online, via text or in person at Radio Forth, Forth House, Forth Street, Edinburgh, EH1 3LE. The charity is looking for gifts for girls and boys from birth up to the age of 18, however, in past years presents for babies and teenagers from 13 onwards, especially boys, have tended to receive fewer donations. The charity is now also accepting applications from organisations seeking support to help youngsters over the festive period and these can be made by authoritative bodies including social workers, teachers and members of the police. Victoria Hendry, Radio Forth’s Cash for Kids Charity Manager, said: “No child should feel as though they can’t be a part of the festive season. Here at Mission Christmas we are committed to ensuring every single child across East central Scotland has a present to wake up to on Christmas morning, regardless of their social background or any barriers they face. Pilton Youth and Children’s Project (PYCP) was one project which received support in 2017 and Debbie McMillian, Centre manager at PYCP, explained the difference that Mission Christmas can make. She said: “We have had support from Forth 1 and Forth 2’s Cash for Kids Mission Christmas appeal for over six years now and they have provided over 10,000 gifts to children and young people living in Pilton and the local area who might have spent Christmases with no or little gifts from Santa. Further information on how to support Mission Christmas is available at forth1.com/mission and the deadline for gift donations is 13th December. Applications for donations from Mission Christmas are also now open and must be completed online by teachers, social workers or professionals working directly with children and young people before 19th November at forth1.com/mission. Any gifts donated after the deadline, or surplus gifts from more popular age groups, will be distributed in the New Year to families in refuges and other emergency situations or stored securely to be used the following year.